We "Kiran Fastners" are expanding our wings across the nation by Manufacturing and Trading a wide range of Metal Nuts, Metal Bolts, Metal Rivets, Metal Washers, Mild Steel Studs, Machine Screws, Self Tapping Screws, Socket Head Screws and much more. Founded in the year 1989, at Rajkot (Gujarat, India), we have developed a robust and ultramodern production unit where we manufacture these fasteners in numerous sizes, shapes, materials and other such specifications to choose from. Cover over a large area, this infrastructural unit is properly divided into several divisions such as procurement, manufacturing, quality testing, R & D, warehousing & packaging, sales & marketing, transportation and many more. Well armed with all the essential amenities, all these units are look after by our experienced and talented team members. They are the core strength of our company and help us in order to accomplish the variegated needs of the clients in a timely manner. We have gained a significant position in the market due to outstanding quality, steady efforts of our team members, client centric approach, easy mode of payment, crystal clear business dealings and punctual delivery. 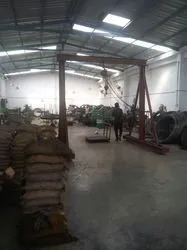 At our premises, these fasteners are manufactured as per the set standards with the help of well tested raw material and the latest technology. Offered fasteners are extensively demanded in automobile, general engineering and many more industries. These fasteners are well known among our clients due to their features like rugged design, high strength, corrosions resistance, dimensional accuracy, easy installation and durability. After considering the clients’ numerous requirements, we provide these fasteners in plenty of sizes, shapes, materials and other specifications. 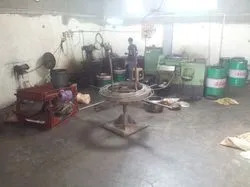 Quality is the main motto of our company, we assure our clients that these fasteners are stringently tested on different parameters by our quality experts at our well equipped testing unit. To store all these fasteners in a systematic and organized manner, we have constructed a large warehouse. Apart from this, our clients can avail these fasteners from us in bulk quantity within scheduled time frame. Manufacturing AND Trading of Industrial Fasteners. Our experienced and hardworking staff members are the most essential assets of our organization. They are highly talented and appointed on the basis of their skills and experience. Our staff members always try their level best in order to accomplish the variegated needs of the clients within promised time frame. Due to their positive and steady support, we have been able to achieve set organizational objectives with predefined time period. In order to enhance the skills and proficiency of our team members, we conduct numerous workshops and seminars. In order to accomplish the different needs of the clients in a timely manner, we are endowed with an ultramodern & robust infrastructure unit. This infrastructural unit sprawls over a large area and helps us in the production of quality assured fasteners in plenty of specifications. We have further divided this infrastructural unit into numerous sub-units such as production, quality control, research & development, sales, warehousing & packaging, transportation, etc. We have appointed a team of smart and experienced team members to control all these departments in a systematic manner. By providing a wide range of fasteners, we have reached at the peak of success and have maintained an important position.